Cromely's World: Warning! This post contains words. Warning! This post contains words. Is your bottled water safe? This post seems a bit Jay Leno-y to me, but I'm gonna do it anyway. 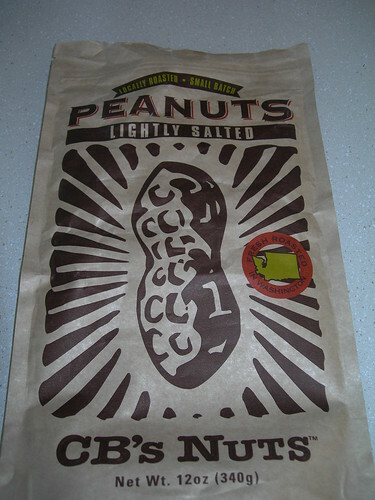 I picked up a bag of peanuts at the local QFC. Sure, it was an impulse buy, and I didn't read the label carefully. Then again, I didn't need to. I don't have a peanut allergy, which is why I don't look for warnings about peanut allergies. So I picked up this. Now, I understand that peanut allergies can be deadly, and those unfortunate enough to suffer them must be very careful in their dietary (and even atmospheric) choices. But if you are smart enough to be able to read the warning, YOU SHOULD BE SMART ENOUGH TO KNOW THAT PEANUTS CONTAIN PEANUTS! Was there actually some sort of law suit that inspired this? Did someone actually think these were peanut-free peanuts, and therefore okay? The kind of stupidity that requires such a warning is mind-boggling. At the same time these warnings seek to encourage caution, they actually do the opposite. The more pointless and stupid warnings I see, the less likely I am to read them. Manuals for electronics today start with several pages of warnings that I completely ignore because when I do read them, they are tell me things like "don't put you TV in the bath tub," or "don't hit someone in the head with your computer" because someone might get hurt. This endemic stupidity hides actual caution information by burying it under pointless tips that seem to be an attempt to discourage the culling of the human herd. If I do get injured because I missed the 1 valid warning among the 137 idiotic ones I guess I'll just have to sue the lawyers. It is exactly that mentality that causes all of these stupid warnings. (I'll sue them mentality) Be prepared for the next "new" stupid warning to say, "if you don't read through all of these warnings because you think they are stupid and you end up getting hurt we are not liable." - although I agree that these warnings are moronic, companies have to put them in writing because in this society everyone sues over everything. Remember the lady who spilled the cup of hot coffee on her lap and sued Mcdonalds? She was awarded 2.7 million because she didn't realize that if you drive and drink coffee at the same time you might spill it on your lap. 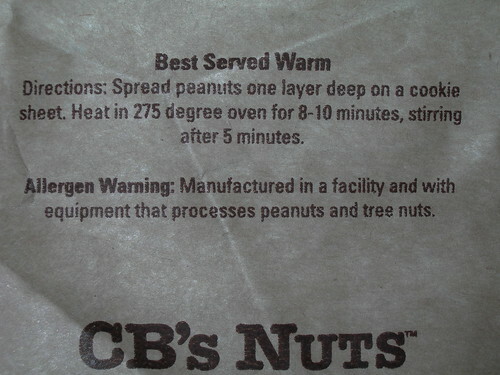 Now they have that stupid warning on their coffee cup telling you to be careful, the contents are hot. Duh! It's the same with the medical industry - everyone sues over everything now thousands of people can't afford insurance. Even Drs can't afford to practice they are opting out of certain specialties because of the cost of insurance. Sorry, didn't mean to make this a book - didn't know I had all of that in me. Have you ever listened to Bill Engval do "Here's Your Sign"? He says some people should have to carry a sign that says "I'm stupid" He lists a bunch of really stupid warnings on products...and ends up with "Here's your sign" at the end. Makes you shake your head and wonder how some people make it through the day alive, doesn't it?! This is just a testament of the sue-crazy culture in which we live in. The reality, of course, is that there is a stamper that the packaging goes through. The stamper automatically stamps that message on any packaging that might be used in the facility. The machine can't really distinguish what is and isn't meant for 'actual' peanuts. MAY?! WTF else could be in there?? Yes, anyone who needs that warning is a candidate for the Darwin award. It's sad that disclaimers, even stupid disclaimers, have to be put on everything now. The lawsuits over the fact that you get burned by McDonald's coffee when you take the lid off a fresh hot cup of coffee while driving really takes the cake. Duh, coffee is hot and you shouldn't open it while sitting behind the wheel of a car!!! Someone probably sued the people in your post at some point and time because they had an allergic reaction and didn't realize that they were really buying peanuts. To those people, I say --- well no duh!!! Here's your sign -- It said PEANUTS on it!!! @Daisy: It seems like entirely too much work for me, too. Snacks in bags should not require that much effort. I understand some people boil them, too. @Split Rock Ranch: I could make a fortune printing and selling those signs. @Rob: Either that or the Not My Job mindset. @Mom: It seems like the could address that, though, since they have to change the stamp to label the front of the bag as nuts. @Jamie: It's mind boggling sometimes, isn't it? @Sharkbytes: I cold go for some herd thinning. @JT Locke: There's got to be a better middle ground than the alternatives we are dealing with.